Being concerned about the environment and doing what you can to protect it shows your commitment to bettering the planet. That applies to your heating and cooling systems too. There are a number of new technologies for your HVAC system that make it even easier to show your concern. 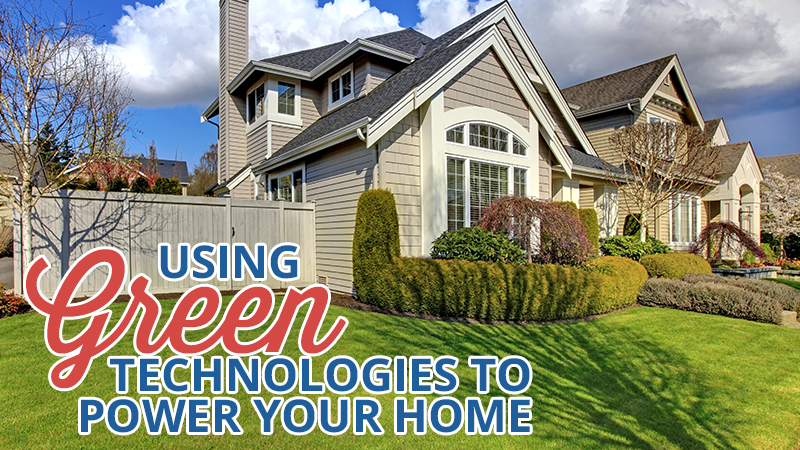 Watch for these green tech options in your location soon. These devices work to heat the water as you need it and eliminate the need for wasting energy heating an entire tank of water, but they go a step further than typical on-demand water heaters. Recirculating hot water heaters divert cold water back to the water heater so you always have hot water when you need it without wasting cold water. Thermally-Driven Chillers: This technology takes advantage of the sun’s energy to produce cool air. It uses solar panels to collect the rays from the sun to power a double-chiller system that is reported to be more effective than air conditioners that rely on electricity. When the supply of solar energy runs short, the chiller automatically switches to natural gas as a fuel source. Ice-Powered: This technology uses frozen blocks of ice to power your air conditioning. The system freezes 450 gallons of ice during the night and uses it to cool the air during the day. The frozen water provides cooling for about 6 hours and then reverts to your traditional air conditioning system. Geothermal Heat Pumps: Geothermal heat pumps take advantage of the heat found inside the earth. Looped pipes are placed under the ground. When fluid is forced through the pipes it absorbs the heat from the earth and transports the heat back to the unit. The heat is then pumped into your home. Geothermal heat pumps are considered four times more efficient than typical HVAC systems. They can also be used for cooling in the summer. Dual-Fuel Heat Pumps: Dual-fuel heat pumps monitor the outside temperature to determine the most efficient source of fuel for the conditions. The system automatically adjusts to the most efficient source. As the desire for green alternatives to heating and cooling rises, software designers are making it easier to determine the most efficient and energy-conscious fuel sources required for your home. Several companies now provide software that will analyze your home and provide the information you need to make wise energy choices. Some even provide the projected energy use for the life of your home and can calculate the differences in energy use if you change the siding or roofing of your home. Your local HVAC contractor may use energy analysis software when assessing your home energy needs. Call us today to inquire about green alternatives to your heating and cooling needs or to learn more about our HVAC services. Don’t forget to ask us about other green products like quiet duct wrap made from recycled denim.